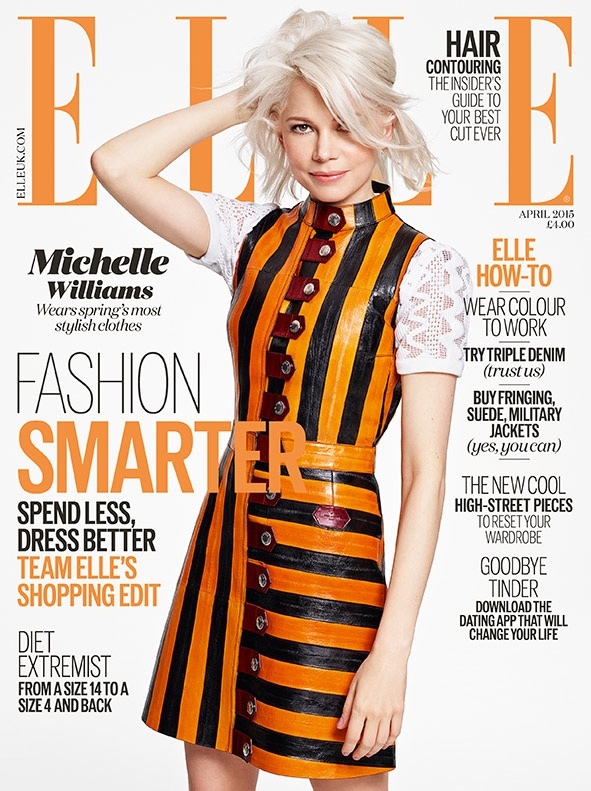 Michelle Williams covers the April 2015 cover of ELLE UK wearing a black and orange striped dress from Louis Vuitton. Actress Michelle Williams is the April 2015 cover star of ELLE UK, wearing Louis Vuitton on the cover and inside the magazine. Photographed by Kerry Hallihan, the blonde beauty pops in colorful looks from the brand’s spring-summer collection. In her interview, Michelle talks about being a single mom, performing on Broadway and more. Michelle is all smiles in this color-blocked dress. The actress talks to ELLE UK about feeling “exhausted” as a working, single mom.